We spent this past weekend in St. Louis - and were able to see quite a few family members. My mother in law is a great cook and she made spaghetti for us one night. 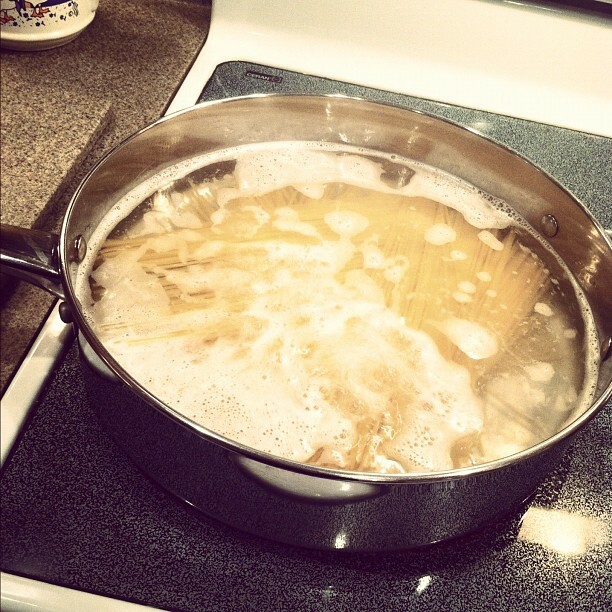 Except she didn't use the same kind of pot that I would have used to boil my noodles. And I never will again. Hello wide, shallow stir fry pan! Seriously, how did I not think of this before? I always hate that half of my spaghetti gets cooked before it starts to sink slowly down into the boiling water. 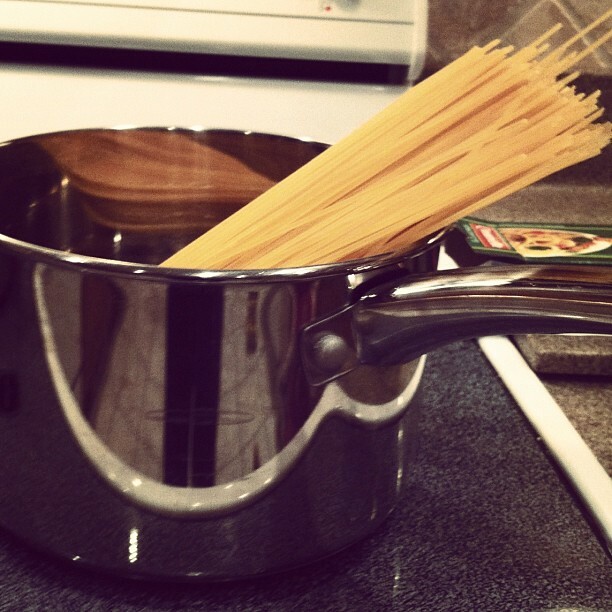 Now, all my spaghetti will get evenly cooked. Really, sometimes it's the littlest things in life. It's funny how simple this is. One of those 'why didn't I think of that?' moments. Great tip! I just break em in half before I throw them in the pot. It's much easier eating it that way too. I always cut it up for the kids anyway.